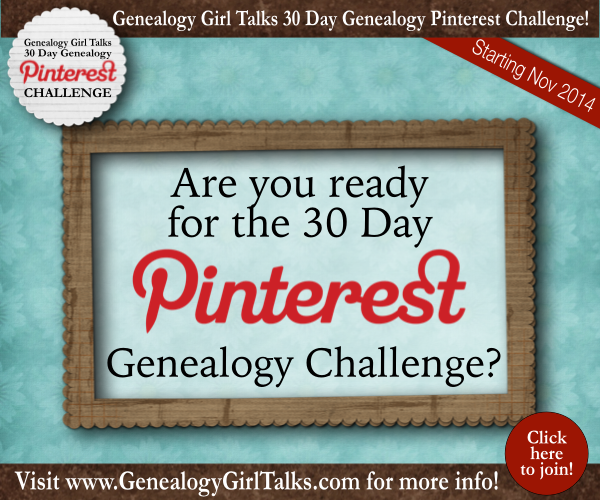 Are You Ready for the 30 Day Genealogy Pinterest Challenge? 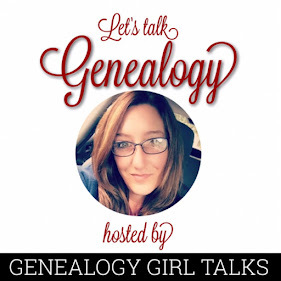 Are you ready for the 30 Day Genealogy Pinterest Challenge? Its starting November 2014! Be sure to sign up and join us for this fun filled 30 days! 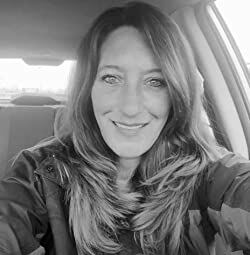 There will be a prompt every day (for 30 days) to encourage you to use Pinterest for your Family History and Genealogy! Did I mention there will be bonuses throughout the Challenge? Only those joining will receive these bonuses! 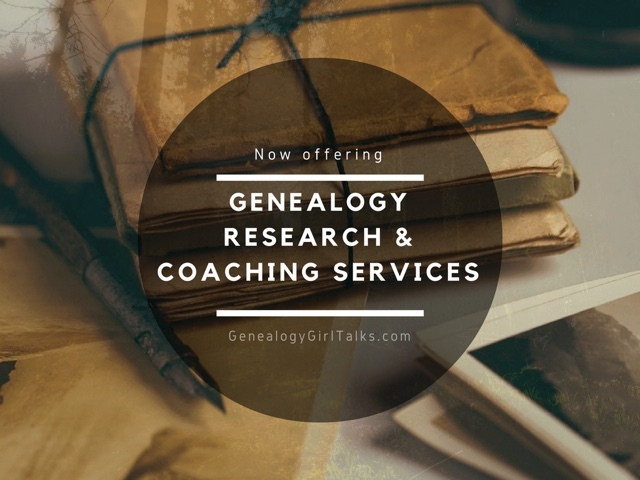 Be sure to sign up below for updates and reminders and visit our 30 Day Genealogy Pinterest Challenge page for more information on how to join! We'll see you at the Challenge!